Are you leveraging Pinterest for your brand’s growth? Pinterest is increasingly growing in significance and user base, and some brands rely on Pinterest for their overall social media strategy. While the results for each of these brands differ, some brands have gone viral on Pinterest and tapped into new audiences. 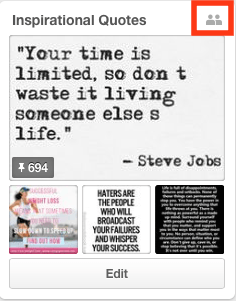 Many brands go on Pinterest with an aspiration to achieve the same success. 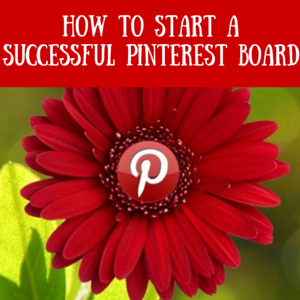 Becoming successful on Pinterest requires a plethora of successful boards. It takes time to create successful boards that generate massive audiences, so instead of focusing on creating multiple successful boards, focus right now on creating one successful board. If you can create just one successful board, then you know what it takes to create multiple successful boards that generate massive audiences. All you have to do at this point is know how to create a successful board and then create it. Content factors into the value of a board, but there are other factors that impact the experience the people in your audience have when they visit your board. When people visit your board, they want fresh content. If the last thing you pinned on your board was from a year ago, then that board won’t be attractive enough to keep someone’s attention for a long period of time. All successful boards do an excellent job at keeping people’s attention over a long period of time over a series of encounters. That means a first-time visitor who enjoyed your board then must still enjoy it a week later (because the content is fresh, relevant, and valuable). How do you keep a board fresh with new content? One way is to schedule your pins in advance with ViralWoot. You can schedule up to 100 pins per month free of charge, but then ViralWoot has rates that apply if you wish to schedule over 100 pins per month. At this rate, you could schedule three pins per month free of charge. Three pins per day is sufficient for making one of your boards successful, but that same number is insufficient if you want to make multiple boards become successful. Remember that you want multiple/all boards on your profile to become successful which also requires more work on your part. If you want to have 10 successful Pinterest boards, then you would have to schedule 30 pins per day for all of those boards (or send some of them directly from Pinterest, but if you publish too many pins at one time, you will annoy your followers). That adds up to 900 pins per month which takes a significant amount of time and requires a paid ViralWoot account. When I came to this realization, I quickly got overwhelmed. I send over 100 tweets per day, write 5,000 words on a bad week, do videos for upcoming training courses, write books, and go to school. Scheduling hundreds of pins per month would be nearly impossible for me to do on my own. I couldn’t possibly do it all by myself. I knew I couldn’t do it all by myself and didn’t want to pay people to put pins on my boards. The logical solution was to invite people to contribute to my boards. I recently started to implement this strategy, and now some of my Pinterest boards have hundreds of contributors which completely systematizes my Pinterest strategy. New pins get added to some of my boards every day without my involvement. For some of my boards, I simply moderate everything that gets pinned to make sure none of the content is inappropriate or irrelevant (so far, that has never happened. My contributors are the best). At one point, I gained over 1,000 Pinterest followers without pinning anything new on my account. All of the contributors helped update my boards and keep the content fresh. Why would contributors be so eager to pin on my boards without getting paid? The answer is the exposure. I have over 10,000 followers on all of my boards, and when someone accepts my invitation to become a contributor, that person gets over 10,000 followers to interact with overnight. I give people to power to share their thoughts and ideas on a larger platform. Many of the people I invite take me up on the offer and pin valuable content on my boards. I aspire to have several boards on my account with over 1,000 contributors, so if you want in, let me know. When you allow contributors to pin on your boards, you must recognize that not all of the pins that appear on the group boards will be created by you. While this is a great way to systematize Pinterest, you must occasionally publish your own pins. When you do publish your own pins, your pins must optimized to do well on the platform. The first thing that comes to mind in a pin is the picture. It does not take much time to discover that not all pictures on the web are created equal. While some of the pictures look nice, others are duds, but just because a picture looks nice does not mean it is properly optimized for Pinterest. The first thing to note is the height of the picture. If the picture you choose is a square, then it will show up on Pinterest as a square. If the picture is 800 pixels by 800 pixels, then it will get reduced to 600 pixels to 600 pixels when it goes on Pinterest. The problem is that although the picture may look nice, it isn’t tall enough. Pictures optimized to do well on Pinterest must be tall enough to take up the entire screen and have little to no background. This explains why pins of lengthy infographics perform much better than the average pin. The pixel dimensions are just a nice, random fact if you get pictures from Google Images (you can’t change the pixel dimensions unless you use some type of photo editor), but if you create your own pictures, then you have the power to choose the dimensions of that image. Creating a picture may sound difficult at first glance, but creating your own pictures is surprisingly easy with Canva. Canva lets you choose from their pictures, text, and backgrounds to create a picture that you would be proud of. You can also upload pictures from the web that you have permission to use or your own pictures to Canva. The best part from a Pinterest standpoint is that you can customize the size of the image so it is optimized for Pinterest. An optimized picture has a width of 600 pixels and a height of thousands of pixels. Remember that the taller your image is, the more you must add to the image so the background does not take up too much space. You also have the power to specific the color of your background and the colors of various parts of the image. Make these colors bright colors because bright colors perform better on Pinterest than dull colors. 200-300 characters is the sweet spot with 250 characters being the ultimate sweet spot. Don’t focus on the 250. If your pin is 233 characters or something along those lines, then your description is fine. Remember, people on Pinterest want details. Include 1-2 hashtags. Hashtags help you get found on Pinterest because they generate traffic from Pinterest’s search engine. They also lead to more engagement, but if you overuse hashtags in your descriptions, your followers will have a tough time reading your pins’ descriptions. If a description is tough to read, your followers will get confused, and confused followers never stick around. If people really enjoy one of your boards, they will wonder who created the board, but they won’t be wondering for very long. It is easy to discover who created a group board. With that said, the way you present yourself affects how people think of your board and brand. That’s why colleges are increasingly asking for students’ social media accounts in the college application process. That’s why there are job interviews. That’s why event organizers ask a potential public speaker some questions before hiring the public speaker to speak at the event. That’s why the first impression is so important. On Pinterest, your first impression is your profile. You need to have a good picture of yourself that looks professional. In your bio, list your top credentials and hobbies with nothing but commas (no conjunctions, period at the end of the sentence, or anything like that. Your bio should be a sentence fragment with no subject or verb). The hobbies are just as important as the credentials because people get to know you on a more personal level (this connection helps strengthen the relationship between you and your followers). Making your profile attractive gives you a good first impression which will entice your followers to become returning visitors who frequently like and repin your pins. Pinterest continues to grow as the days go by which makes now the perfect time to take it seriously. The key to thriving on Pinterest is to know how to create a successful Pinterest board and then make one of your boards become successful. You would do this by having contributors, optimizing your pins to perform well, and bolstering your profile. Do you think more people should take Pinterest seriously? Which tip about creating a successful Pinterest board did you like the most? Do you have any additional tips for creating a successful Pinterest board? Please share your thoughts and advice below.